Enjoying a cup of pour-over coffee shouldn’t be that difficult or complicated. You should be able to put your favorite coffee beans, pour hot water, and watch the magic come alive. 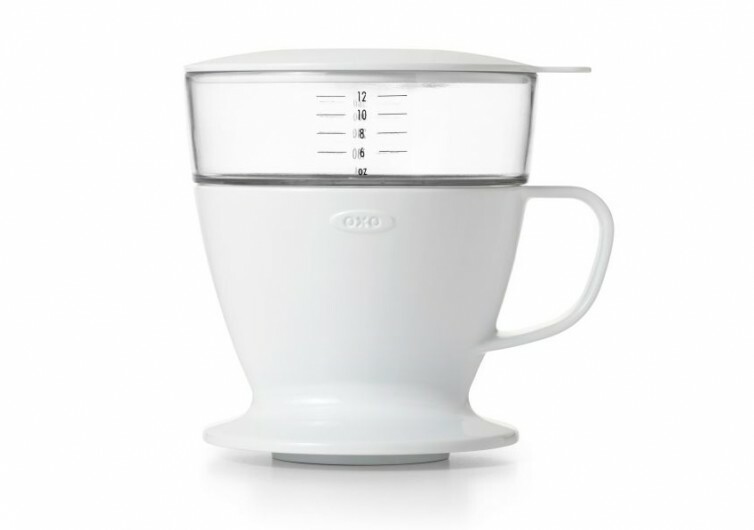 That’s just what OXO’s Pour-Over Coffee Dripper has to offer. It is free of any complicated operations and even more complicated components. What it provides is simple coffee enjoyment anywhere, anytime. 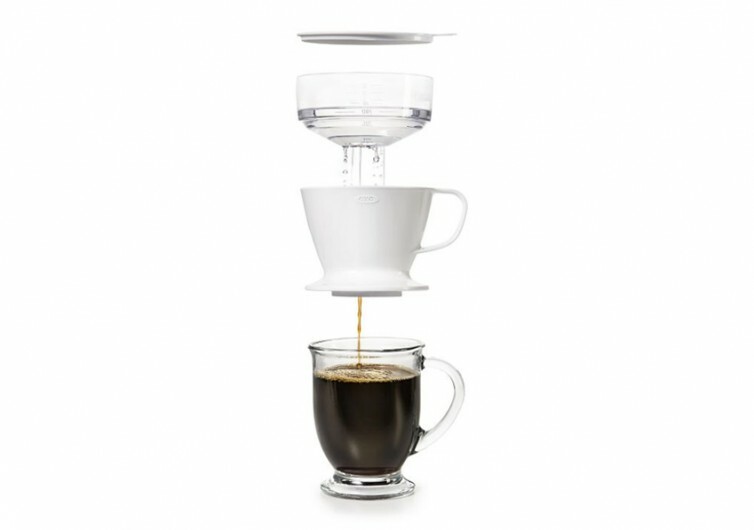 This pour over coffee maker is a 3-piece contraption that provides excellently brewed coffee for two if you feel like sharing its 12-oz capacity. The way the Dripper is designed allows it to conveniently sit on top of your ordinary coffee mug so that it can slowly drip the natural goodness of brewed coffee into your vessel. Coffee grounds are added into the chamber and hot water is poured. If you’re not sure about the amount of water that you need to put in, there are measurement markings that are very easy to read on the side of the chamber. 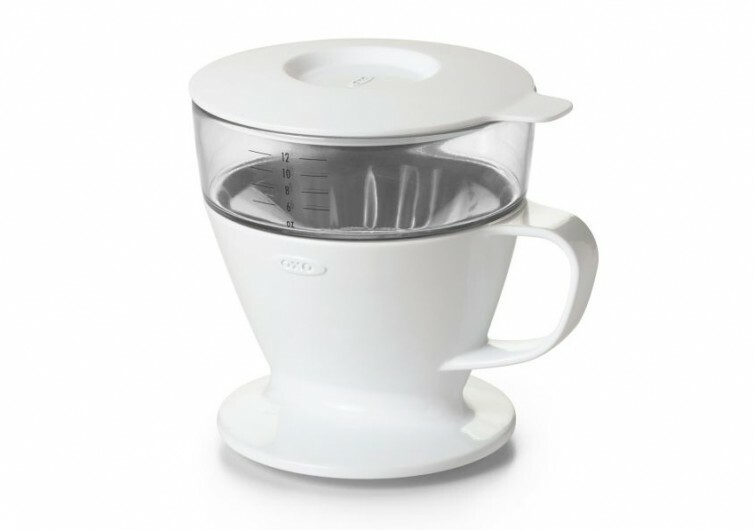 There’s no second-guessing the amount of water to pour, ensuring you get the best-tasting coffee ever. At the core of the Coffee Dripper is a water tank that comes integrated with a very precise hole pattern, allowing for the automatic distribution of hot water. 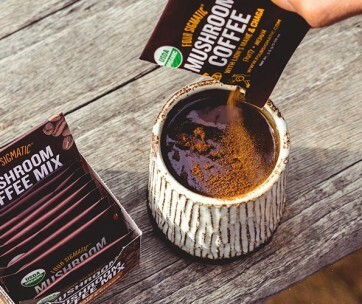 It evenly coats the coffee grounds so you can bet all the delicious and deep flavors and aromas of each ground is extracted and channeled into your cup. While the Dripper is at work, you can close the top with a snug-fitting lid to maximize the brewing process. 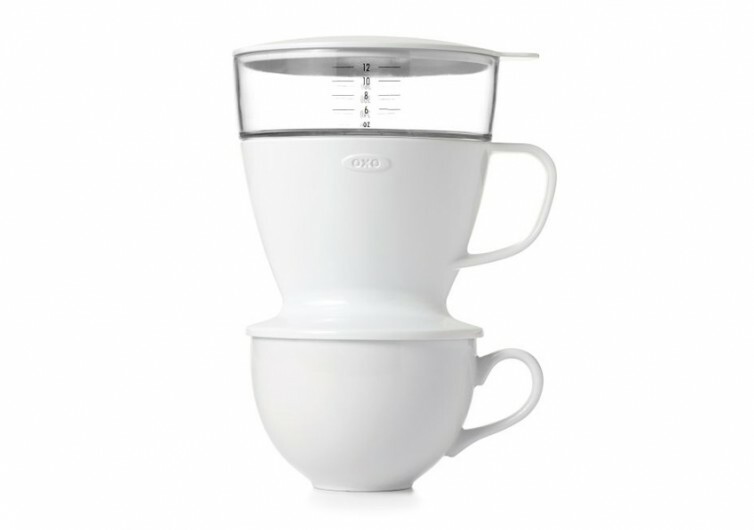 The OXO Brew Pour-Over Coffee Dripper is a simple gadget that creates simple yet great-tasting coffee wherever and whenever that coffee pang hits. It’s an innovative tool and an elegant piece for any office desk or even your kitchen counterpart. It should be a nice gift for coffee lovers this holiday, too.